The death of someone we love unwillingly plunges us into a maelstrom of grief that clouds the mind and often makes it difficult to think clearly. This is particularly true for those closest to the deceased, such as a spouse or partner, a parent or child, or anyone else responsible for reporting the death to others, planning the funeral and/or interment services, and handling the myriad of necessary decisions that arise. After you've handled the things that should be done immediately after a loved one dies, you can move on to these tasks. If your loved one lived alone, ask a trusted family member or friend to visit the deceased's home as soon as feasible to ensure his or her property and belongings are secure (unless you feel up to handling this yourself). Short-term, this includes locking doors/windows; collecting the mail/newspapers; watering plants; moving the deceased's vehicle if parked in a public space; checking his/her voicemail for important messages; removing any food or beverages from the refrigerator that could spoil; and notifying the landlord of the death, among other things. In many areas, the local law-enforcement agency will also keep an eye on a vacant property following a death if you contact them via a non-emergency telephone number. If the deceased still worked, whether full- or part-time or even as a volunteer somewhere, contact his or her company as soon as practicable (assuming you didn't already contact a close work-friend of the deceased and ask him or her to do so). This helps the employer not only adjust work schedules, if needed, but also begin processing the necessary paperwork concerning payroll, benefits, Social Security, retirement accounts, etc. In addition, ask the employer if the deceased was covered by a company life-insurance policy and if any employee benefits, such as health insurance, will still cover dependents. If you chose to work with a funeral home, then a funeral director will guide you through the process of planning a funeral or memorial service for your loved one, as well as the interment process. If you selected direct cremation, direct burial, or some other form of final body disposition, then the provider's staff will assist you in making the necessary arrangements. If you selected cremation for final body disposition, then you can arrange a memorial service at a later date unless you desire to perform the committal right away. If you and your loved one discussed his or her wishes beforehand or formally prearranged these services with a provider, then many of these decisions will already have been made. After arranging the funeral services, members of the immediate family must often write an obituary or death notice (basically an abbreviated obit) for publication, or approve something written by a funeral director. Newspapers generally charge a fee to publish an obituary or death notice—a cost that will be passed onto the family. You should decide if you wish to publish an obituary/death notice, or if you prefer to communicate the death/service details some other way, such as via social media. In addition, if the service you arranged includes a eulogy, then either you or someone you designate should begin writing and practicing it. Families often create a "memory board" for the funeral/memorial service of a loved one these days, and if you want to include one in the funeral/memorial service you arranged, then you will need to select photographs depicting the life of the deceased, such as childhood and school images, graduations and vacations, formal sittings or candid shots, etc., in order to convey the memorable times he or she experienced. Once you finalize the funeral/interment arrangements, continue informing others about the death who were not initially contacted, including the deceased's doctor, attorney and/or accountant, as well as any fraternal, professional or membership organizations. In addition, you (or someone you designate) should begin contacting family members, friends and others about the service details (date, time, location, etc. ), as well as where to send flowers and/or charitable donations. As soon as feasible, you should forward your loved one's mail/packages to a new address if he/she lived alone. Not only does this prevent uncollected deliveries from signaling that the home is now empty, but it will also make it easier to determine what bank accounts, credit cards, magazine subscriptions, etc., the deceased held that need to be dealt with later. Visit the United States Postal Service's "Manage Mail for the Deceased" page, or your local post office, for more information. If your loved one left a will, then the designated executor(s) or administrator will usually settle the deceased's estate. This includes, among many things, terminating health, life, automobile and other insurance policies; notifying Social Security, Medicare, Veterans Affairs, etc. ; closing bank, pension and retirement accounts; paying off and closing a mortgage, credit cards, and other forms of credit; and contacting a tax preparer to file a final return for the individual and his/her estate. Key to this process is obtaining certified copies of the deceased's death certificate, which generally cost $15 to $20 each. If you must settle your loved one's estate, there are many excellent resources available in print or online to guide you through the process, such as Begin Here: Helping Survivors Manage by Kat Reed. In this age of identity theft, it is important to deal with accounts that might be forgotten or not handled during the probate process. This can include: canceling/transforming social media accounts, such as Facebook, Twitter, Instagram, etc. ; notifying credit-reporting agencies (Equifax, Experian and TransUnion) about the death; closing the deceased's email and website accounts; canceling his or her drivers license; and notifying the local election board to remove his/her name from the list of registered voters. In addition, you should contact the Direct Marketing Association to add your loved one's name to its do-not-contact list. 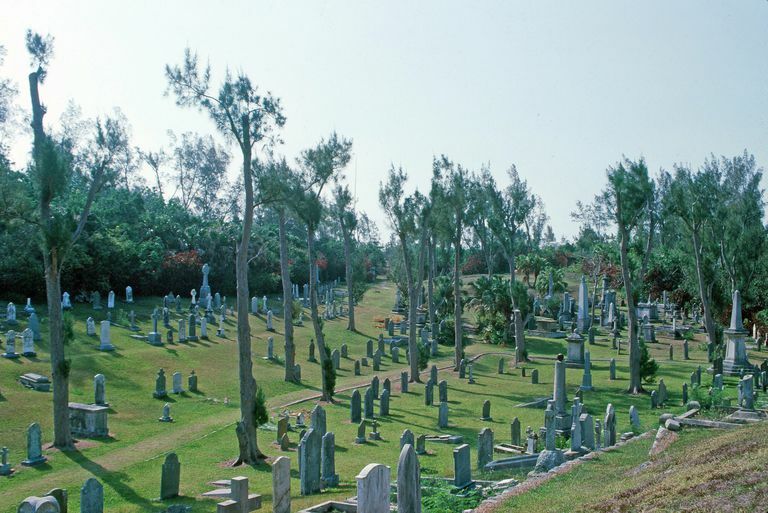 If the deceased was buried, you will need to select and purchase a headstone or gravemarker. Generally, you will not need to perform this task for many months, or even up to a year, after the burial to allow the ground around the gravesite to settle or if weather conditions make installation of the marker difficult. The cemetery that performed the burial can assist you in this process, but you are free to select another provider if you prefer. If you do, make certain to check with the cemetery concerning its rules and regulations concerning size, style, materials and installation before ordering.